Sonny Dykes’ SMU offense has more questions than his defense? What? SMU spring breakout candidates: Could this junior help fill a major need at CB? SMU spring breakout candidates: Is this the year of Judah Bell? SMU key spring issues: Who will become the Mustangs' next workhorse at running back? SMU key spring issues: How will Mustangs improve their pass defense after losing top cornerback? SMU key spring issue No. 5: How quickly can Shane Buechele, receivers get on the same page? 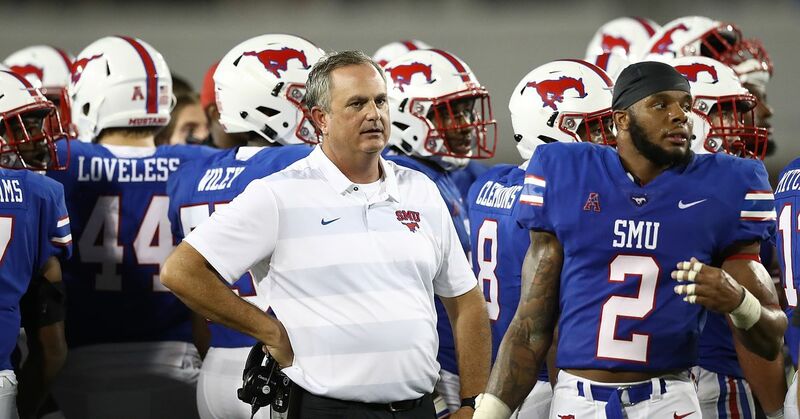 SMU special teams outlook for 2019: Will added speed lead to more explosive moments? SMU defensive line outlook for 2019: Can this deep unit be more productive? SMU RB outlook for 2019: Braeden West is gone. Who's next?